Wet Edge - White Sands Pool Plastering Inc.
​White Sands Pool Plastering, Inc. proudly makes it known that we finish and refinish with WetEdge Technologies' premium pebble finishes. With our experienced finishers, pump trucks and the beautiful pebble product there's no going wrong with a pebble finish! What is Wet Edge Technologies? 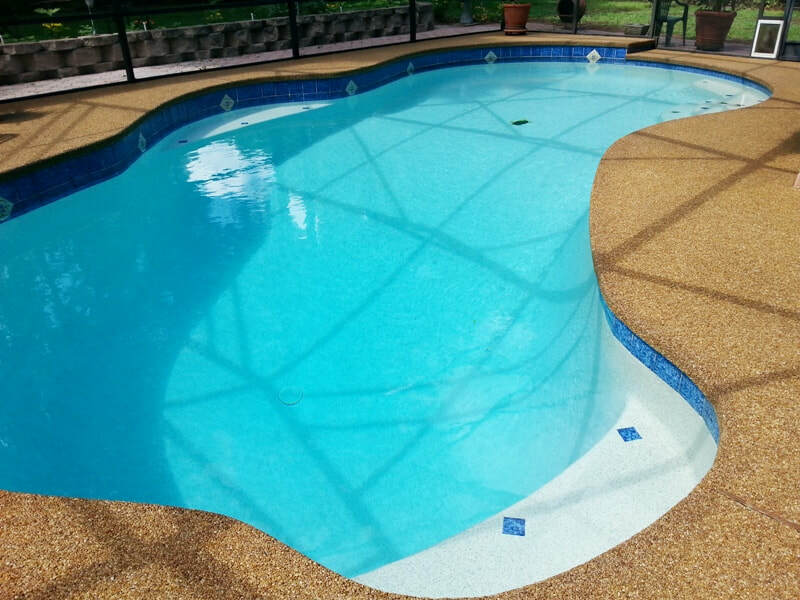 Wet Edge Technologies is a largely known aggregate distributor that specializes in creating different types of pool finishes. 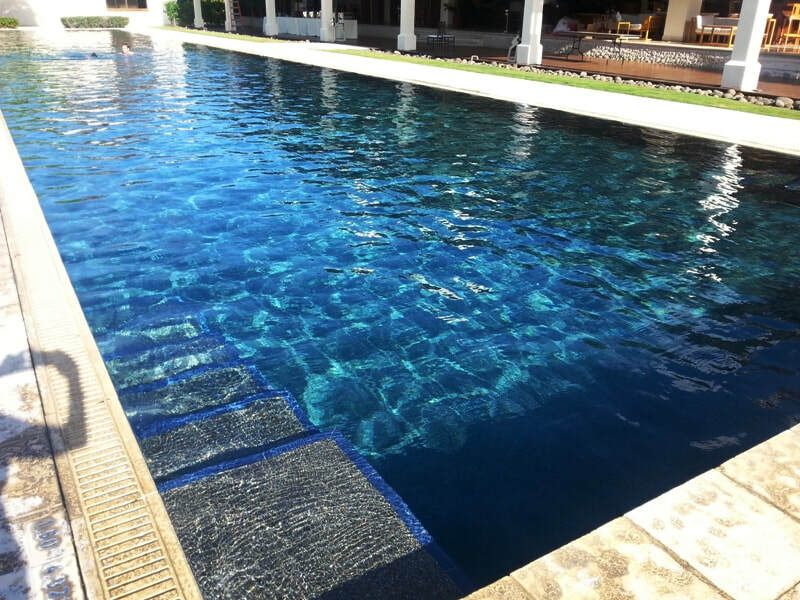 Starting from the bottom and working their way up, Wet Edge has taken well known products in the pool industry and improved them to a more perfected blend of products in order to give the best line of finishes for residential and commercial pools and spas. With years of experimenting and determination there's no going wrong with the most perfected blend of pebble finishes on the market! Although Wet Edge Technologies offers a wide variety of finishes, White Sands favors their beautiful line of exposed pebble finishes to offer to our customers. 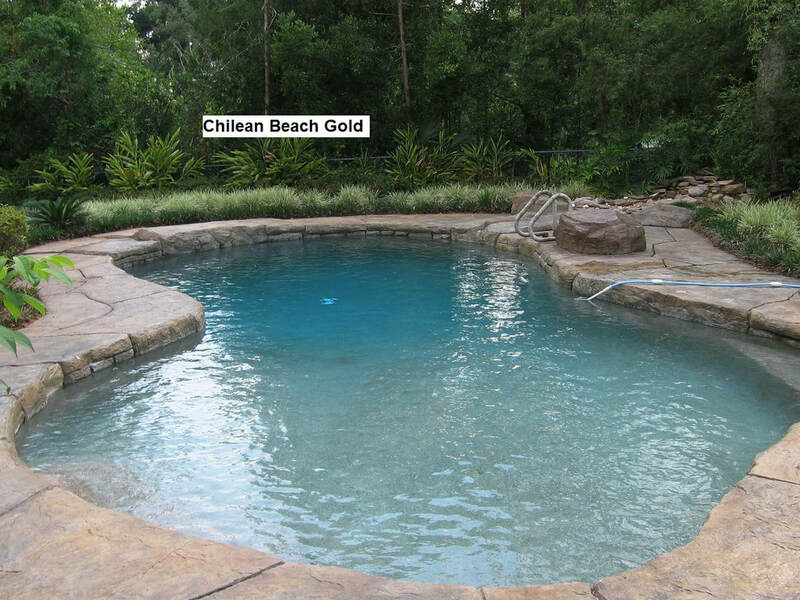 Satin Matrix, Pearl Matrix and Prism Matrix are all premium pebble finishes that our finishers are well trained and experienced to apply to your renovated or newly built pool. We have been a licensed pebble applicator since 1989 and have been in business with Wet Edge Technologies since 2011. Wet Edge pebble finishes are the best option for your pool if you're looking for a long-lasting, durable and low-maintenance surface. Naturally tumbled for roundness and smoothness and non-crushed pebbles give a beautifully textured look and feel to your surface WITHOUT the roughness. White Sands offers a lifetime labor and material warranty on Wet Edge pebble finishes to assure our customers that they will be satisfied for years with their finish. How do I narrow down what pool finish is the best for me? -Existing pool features play another important role. If your pool has existing tile you aren't willing to part with, choosing a finish that coordinates with the existing tile is always a great starting point as well. You want your tile and your finish to accent each other, not clash. Choose a finish that will take your breath away when it's paired up with the existing features. White pebble finish - Lightest possible water color achievable. Notice depth affecting color throughout pool. -Water color is a huge factor in determining what color you want your finish to be as well. Do you want a light "Bahama blue" water color, an "electric blue" color or something that resembles more of a lagoon with "aqua marine" waters? Different finishes give you different water colors according to the pebbles & dye in the finish and the depth and surroundings of the pool. Your sales representative will be able to give you a good idea of what your water can be according to your pool and surroundings once a finish is selected.